Kazakhstan's interim president Kassym-Jomart Tokayev, right, and outgoing Kazakh President Nursultan Nazarbayev shake hands after an inauguration ceremony in Astana, Kazakhstan, Wednesday, March 20, 2019. On Monday, Kazakh President Nursultan Nazarbayev reigned supreme from the capital of Kazakhstan, Astana. On Tuesday, in a surprising televised address, Nazarbayev resigned the presidency. 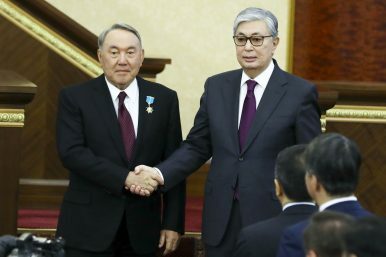 On Wednesday, Speaker of the Senate Kassym-Jomart Tokayev was sworn in as interim president to fulfill the rest of Nazarbayev’s presidential term, which was to run through April 2020. Nazarbayev’s eldest daughter, Dariga, was elevated to speaker, putting her in the country’s (technically) second most powerful position. Tokayev’s first proposal was a renaming of Astana, a measure that has cropped up occasionally in past years. This time the motion passed swiftly through the parliament; the Kazakh capital is now to be called Nursultan. The managed transition Nazarbayev has been setting up over the past few years is now in process. What will that process look like? As for a timeline: At present, it looks like Tokayev will serve out the rest of Nazarbayev’s term. The next presidential elections were scheduled to take place by April 2020, but early elections are the norm in Kazakhstan. Presidential polls were moved forward in 2015, 2011, 2005, and 1999, not to mention the snap parliamentary election in 2016. The last few days have moved quickly, from resignation to a new president, and the rollercoaster could just be beginning. And the players? The positioning of Dariga is significant, teeing her up for an easy presidential bid. She has long sat among the potential successors floated by speculating analysts, along with Tokayev and several others close to Nazarbayev. Others have (and will continue to) dive into the kremlinology of Kazakhstan’s opaque elite politics and we’ll all place our bets but here’s mine: No big surprises, no outsiders, no real choice in the matter for the Kazakh people. In some ways, Nazarbayev’s success on the economic front is clear but also clearly incomplete. The country’s economic rise has been on the back of oil revenue, which as the downturn in 2014 laid bare, is not a permanent, sustainable base for the Kazakh economy. Moreover, in the past year alone, a series of social crises has brought to the forefront discussions about inequality in Kazakhstan and promises not kept to the people regarding the ensuring of their welfare. Nazarbayev recently fired his entire cabinet in an effort to, at least rhetorically, clean house and make a statement to the people that there will be changes. The new faces in the government were mostly old faces, and although there are promises of increased spending on the social sphere, significant structural changes are not likely. These issues, and others, are not going to get much airing in any kind of presidential race as criticism of the status quo is a de facto critique of Nazarbayev — and Nazarbayev remains, in all the ways that truly count, Kazakhstan’s leader. Freed from the title of president, he remains Leader of the Nation — Elbasy. That title was created in 2010 for Nazarbayev by the parliament and bears significant benefits, such as lifelong immunity from criminal or civil prosecution for Nazarbayev and his family.  He is also head for life of the Security Council, a body that last summer assumed new status, shifting from a consultative body to a constitutional one. Other changes that hold importance were major adjustments in the balance between the presidency and the parliament enacted in early 2017. Nazarbayev said he would remain head of Nur Otan, his political party, which holds an overwhelming majority in the country’s legislature. While the Nazarbayev era is not quite over, its denouement has surely begun. Forty percent of Kazakhstan’s population of just over 18 million people are under the age of 24. Every Kazakh citizen under the age of 30 has only lived in a republic ruled by Nazarbayev. He is the last Soviet-era leader to leave office, and he’s doing so on his own terms. Nazarbayev is also only the second Central Asian president to step down (or back, given the power he’ll most certainly wield until his death) in 29 years of independence — the first being Kyrgyzstan’s Almazbek Atambayev. In the Central Asian region, over the years Nazarbayev has been able to watch his Soviet-era cohort dwindle. In 2006, Turkmenistan’s President Saparmurat Niyazov died and his successor, Gurbanguly Berdymuhammedov dismantled and then replaced the cult of personality Niyazov had constructed. Niyazov’s legacy is the story of being replaced. In Kyrgyzstan, the country’s first two presidents were both hounded from office by street protests and neither is remembered kindly, nor are their families. Even Atambayev, who left office in democratic fashion, is not as revered by his successor as he perhaps had hoped. As Bruce Pannier wrote yesterday, “Uzbekistan’s transfer of power may well be what has most concerned” Nazarbayev. Islam Karimov remains revered officially, but the crux of President Shavkat Mirziyoyev’s huge reform program is the recognition of past mistakes and given Karimov’s strong hand on the country, those mistakes are his. While the Uzbek government may not lay blame at Karimov’s feet directly in its words, it has in its actions.